Last summer, Steve Smith launched this 14′4″ x 4′6″ Cosine Wherry, designed by John Hartsock. Steve spent 275 hours on this boat following directions from J.D. 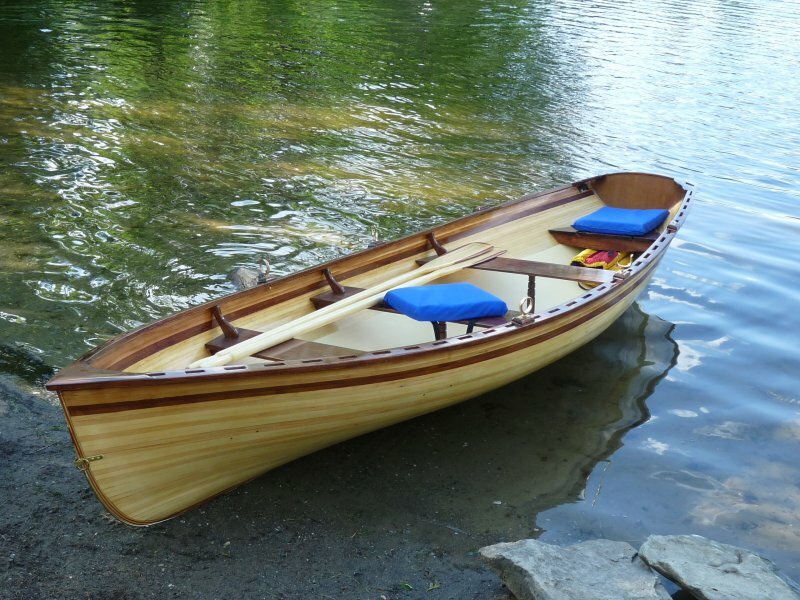 Brown’s Rip, Strip, and Row, available from the WoodenBoat Store. He combined white pine and red cedar strips on the hull, glued with epoxy. Steve will be cruising on Lake Champlain and other waters of Vermont.